This beautiful antique mahogany, marble and bronze centre table stands as a fine example of the work of French cabinetmakers Zwiener Jansen Successeur. 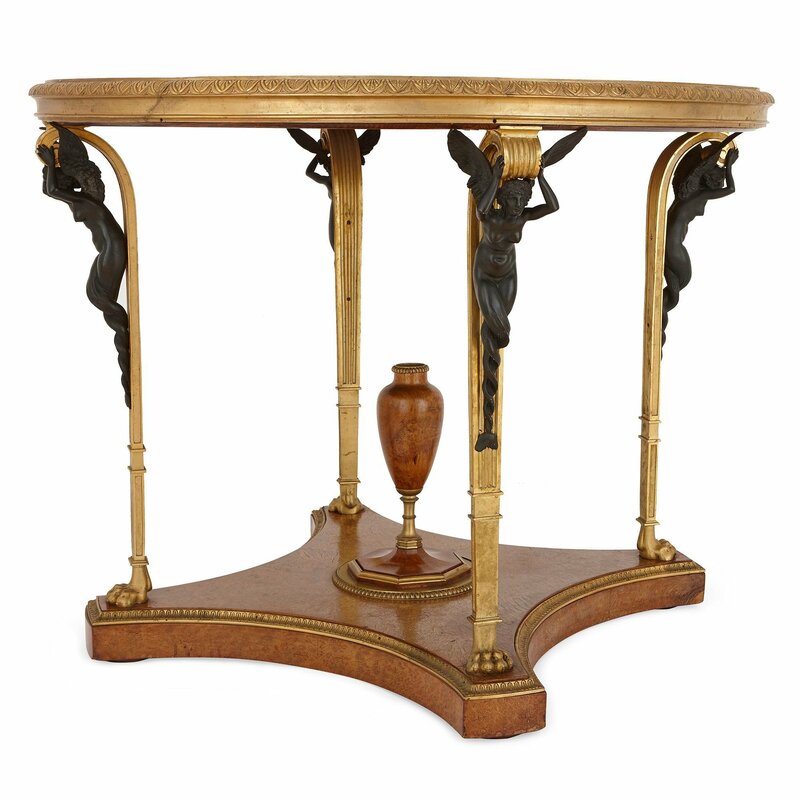 The circular table is set on four ormolu paw feet, all set on a wooden platform with curved edges and ormolu banding. 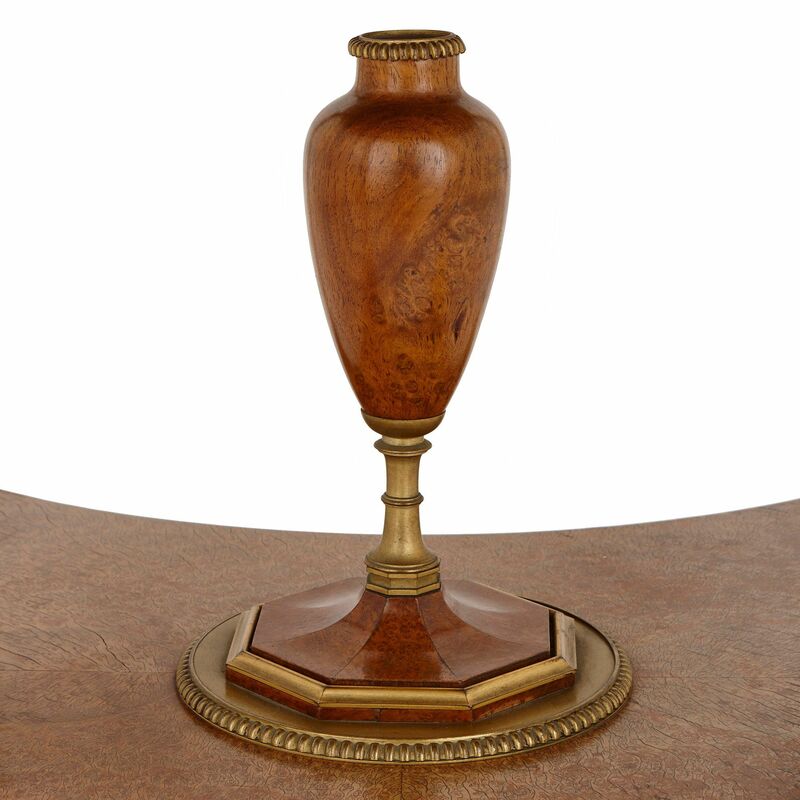 At the centre of the platform there is a wooden, ormolu mounted urn. 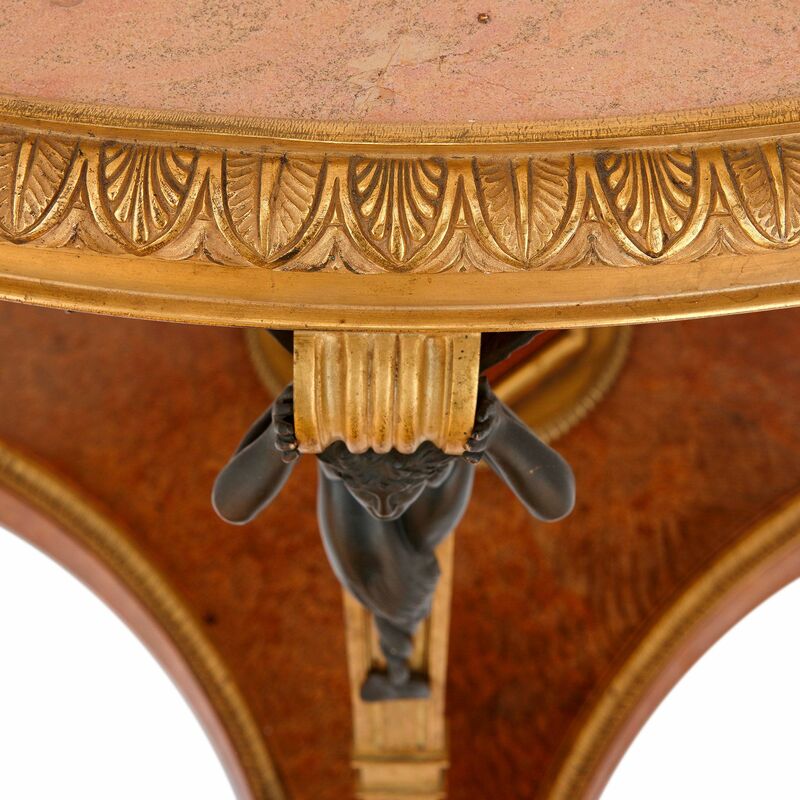 The ormolu legs of the table are mounted with patinated bronze winged caryatids, the Greek name for sculpted female figures which serve as architectural supports. 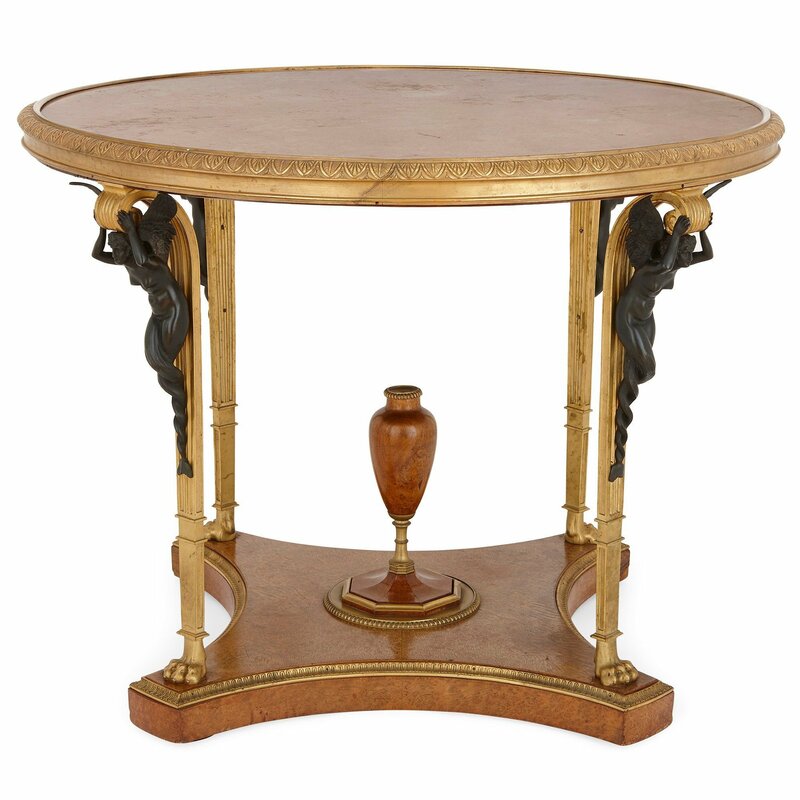 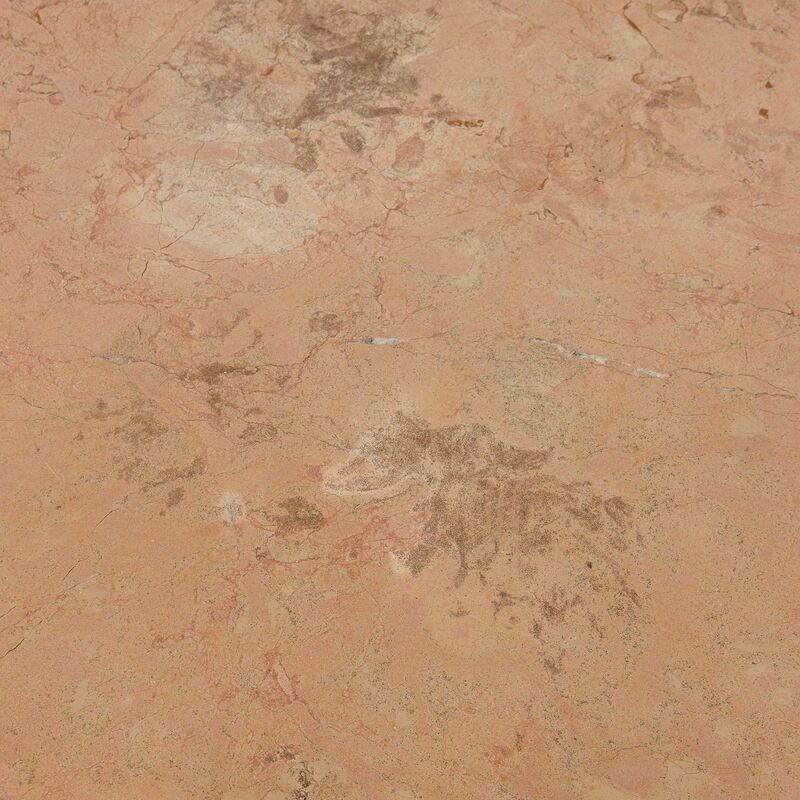 The circular table top is made from veined pink marble with an egg and dart ormolu band. 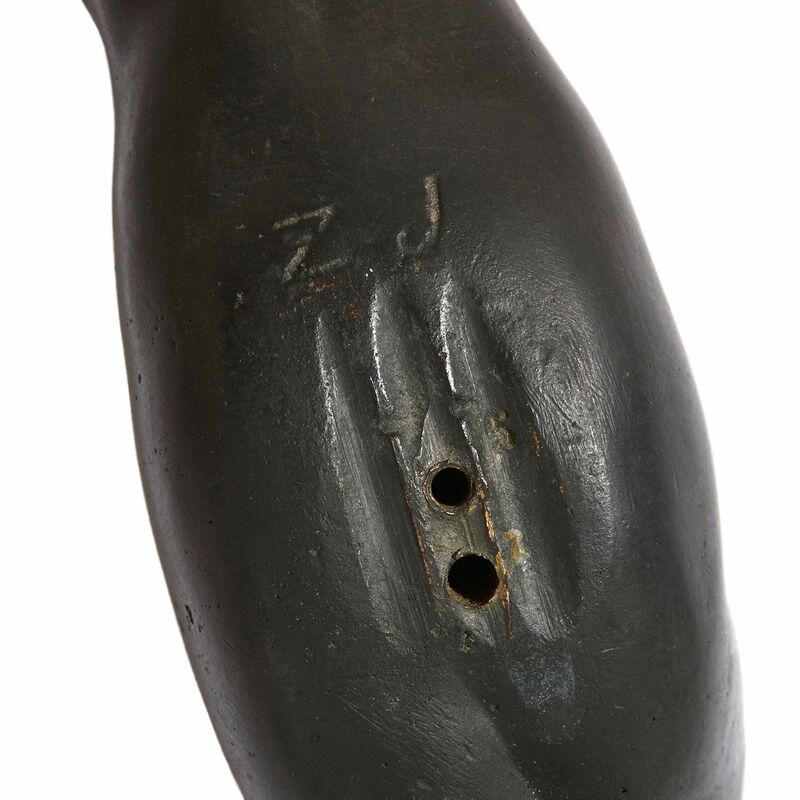 Several of the gilt and patinated bronze mounts are stamped 'ZJ'. 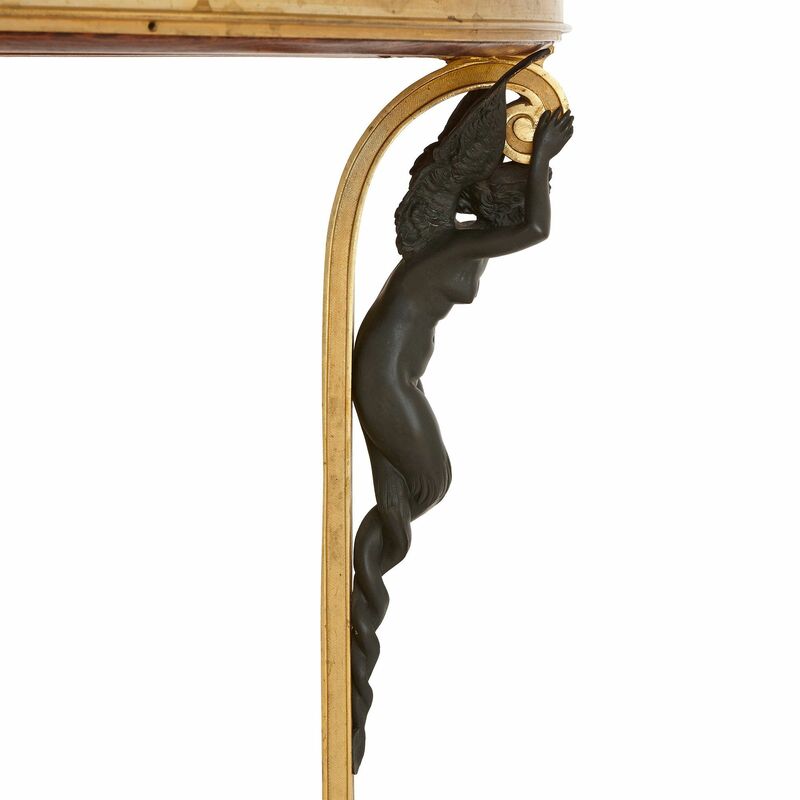 The table is the product of the French company Zwiener Jansen Successeur, a subsidiary of Maison Jansen. 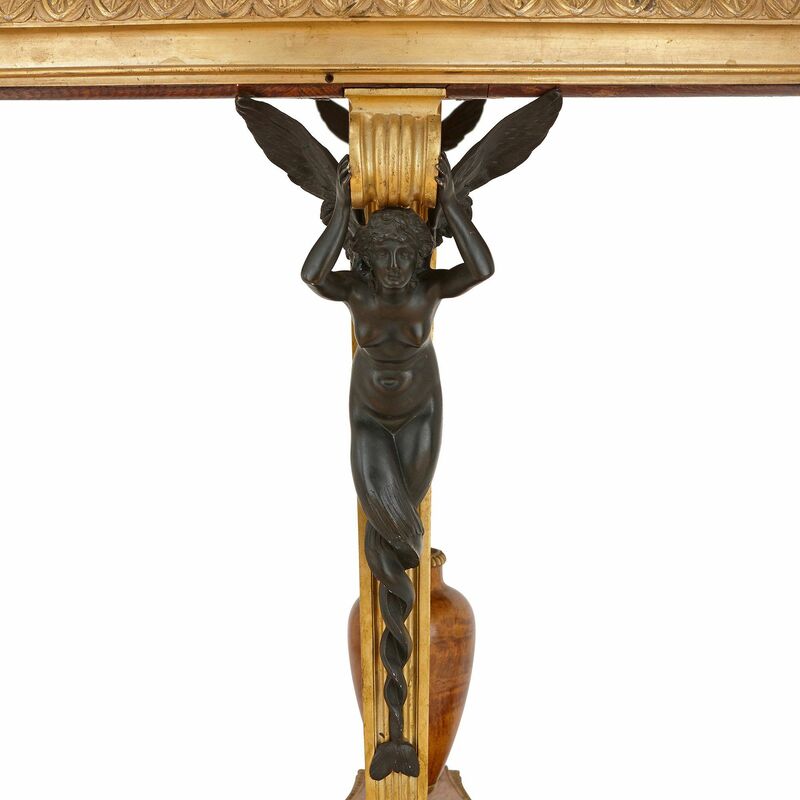 Its design, together with this similar example, is based on the original model by Adam Weisweiler (French, 1744-1820) and Pierre-Philippe Thomire (French, 1751-1843), which was made for the Chateau de Fontainebleau in France.